Interviewing Sansrity Sinha (M.Tech Genetic Engineering) for clearing CSIR-NET -LS June 2012 with 32nd Rank. securing 32nd rank in CSIR-NET -LS. Rekha: How do you feel cracking the CSIR with 32nd Rank? too such a high rank. Rekha: What is your area of interest? What is your future plan? M.Tech. I am very happy to have my career in life science. Rekha: Whats your plan now with CSIR-NET-LS fellowship? Rekha: All the best, Sansrity. So tell us how did you prepare for the exam? 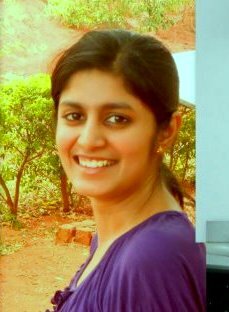 Rekha: Any tips for your friends / Juniors? Sansrity: Most of the questions are from B.Tech. So be clear on your basics.